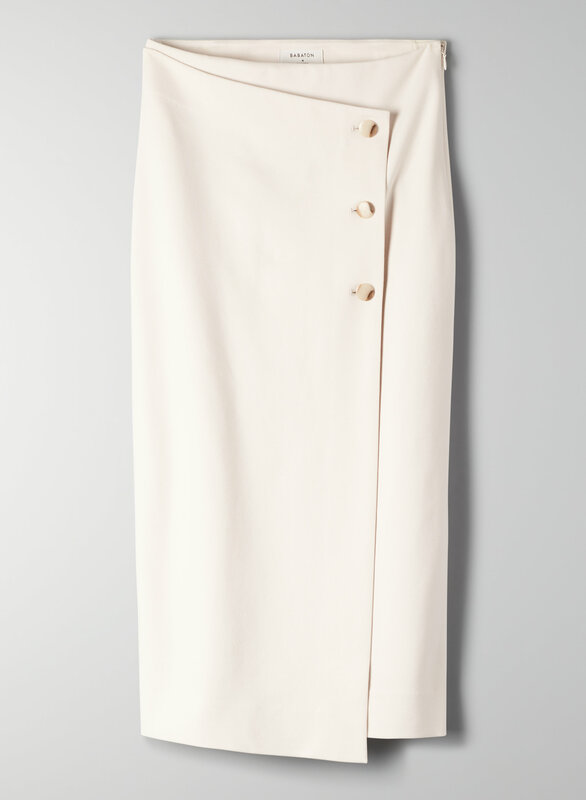 I really like the skirt, because I believe it's timeless as well as versatile as in it can transition between seasons as well as appropriate for more serious business attire to more a casual look. I personally find it hard to find form fitting longer skirts, that I like (I prefer longer skirts) so this purchase was a win win. I purchased the bone color. It fits well, but a bit smaller. I<m susually a size 8. The fabric has a little bit of stretch and the lenght is particulary nice because I am tall. This skirt is quite nice and fits true to size. 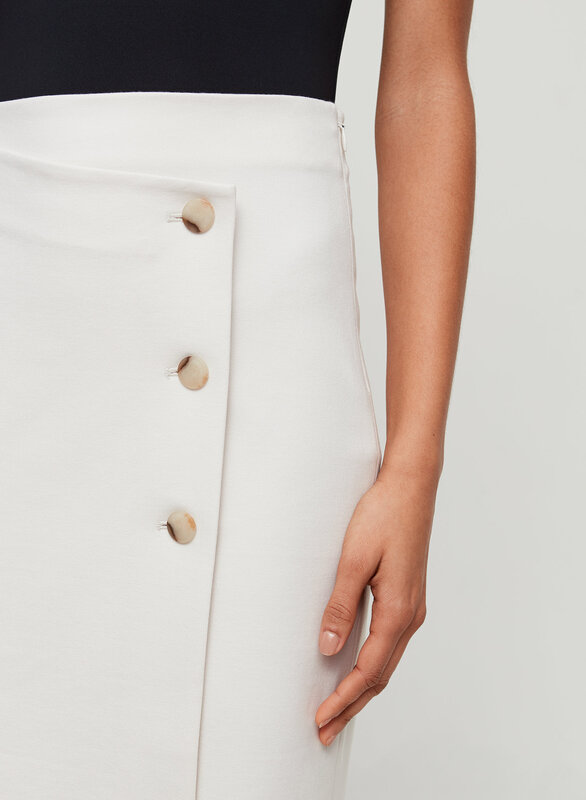 I bought it in the bone colour however the buttons on the skirt in the picture are black but when I received it (I ordered it online) they are more of a shell-clearish colour. I rated this as 4 stars because it would have been a lot more nicer if the buttons were actually black as advertised. Nice but fits really small.